Apple Clean are the local specialists for carpet and rug cleaning, upholstery cleaning and curtain cleaning in Coulsdon, Croydon, Purley, Sutton and the surrounding areas. We provide a professional service for homes and businesses in and around Coulsdon, offering carpet, upholstery and in-situ cleaning as well as stain removal. Contact Apple Clean today for a local, personal service that you will love. Hi, I’m Jonathan and for over 25 years I’ve been supplying carpet, curtain and many other cleaning services to homes and businesses in and around Coulsdon. My beliefs have always been that the best way to success with a local business is to offer an exceptional service which is both professional and personal, giving great customer service and achieving excellent results. Give me a call today and I’ll explain what we can do for you and I’ll give you honest and realistic advice. At the same time you can get an instant no-obligation quote. 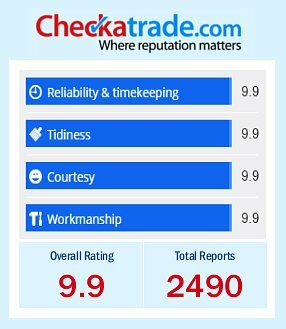 We are very proud members of the Check-a-trade scheme as it enables you to see certified and genuine reviews from past customers in and around Coulsden. Give us a call us now on 01483 299 464 to find out more about the cleaning services we provide to homes across Coulsden and how we can help you. Apple Clean offer a professional cleaning services to private homes and commercial premises in Coulsdon near Croydon. As your local carpet cleaners and upholstery cleaning specialist, we cover the entire surrounding area including Croydon, Sutton, Carshalton, Addington, Banstead, Chipstead and all the way down to Gatwick. We are more than your local carpet cleaners. 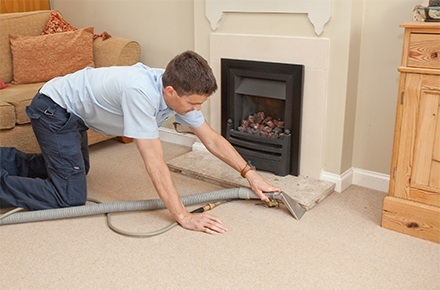 Our wide range of cleaning services include rug cleaning, upholstery cleaning and in-situ curtain cleaning, as well as stain removal, flameproofing and Scotchgarding. Whatever particular fabric needs attention, no job is too small for our professional team – just give us a call and we’ll be delighted to help. Carpets, curtains and upholstery represent a substantial investment into the interior of your home in Coulsdon or your business in Sutton. Regular maintenance and upkeep is key to look after your soft furnishings to ensure that they give you many years of enjoyment. Then there’s cleanliness and hygiene – keep your interiors fresh and clean and create a healthy environment for your family or staff. At Apple Clean, we have a team of experts in Coulsdon that are skilled in cleaning carpets, fabrics and furnishings with the utmost of care. With the help of our highly trained operatives, we can ensure that your carpets, rugs, curtains and any specialist fabrics will look their very best for many years to come. We can also fireproof textiles or apply Scotchgard for extra protection. Our team of professional technicians is keen to build a positive relationship with every client. That’s why you will always find Apple Clean personnel behaving with the utmost politeness and courtesy in dealing with your particular cleaning requirement. After the work has been carefully assessed, we promise that you will receive a first class service that is second to none. 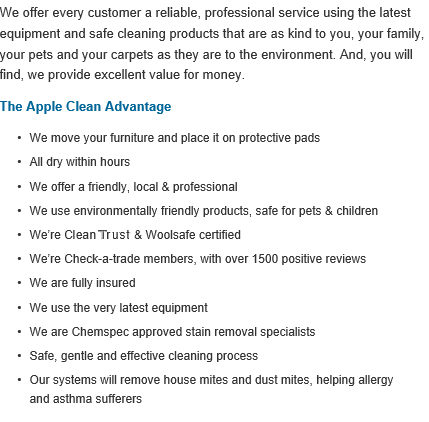 Apple Clean offer a wide range of professional carpet cleaning Coulsdon, rug cleaning, curtain cleaning and upholstery cleaning services around Croydon and the surrounding area in South London and Surrey. For any enquiries, please feel free to give Jonathan a call or request a free quote by filling in the form on this page. Give me a call to find out how we can help you. 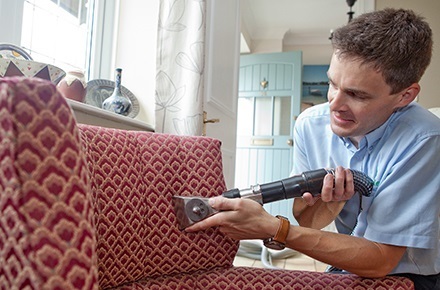 We’re able to offer instant quotes for all carpet, upholstery and in-situ curtain cleaning or for any of our other services, no matter how big or small. So whether you’ve got a small stain or need your home or place of work cleaned, we can help. If you’re not sure what the problem is, why not send us a picture via email and let a professional take a look at it? In twenty years, we’ve seen pretty much everything! We offer free advice and expertise over the phone, so give us a call or fill out the form and we’ll call you right back. We also cover all surrounding areas.